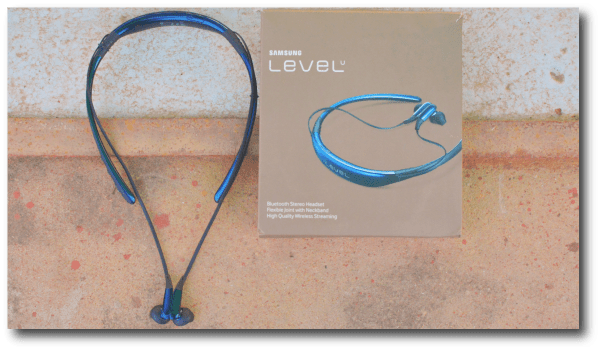 Samsung Level U Bluetooth headsets do come in 2 different colors; Blue & Gold. I have have got the blue color variant, which looks very much decent. Talking about the box & packaging, these headsets do come in a very simple packaging with headsets, two different sized ear tips, one winged ear-tip & a manual as standard. You wont find anything fancy inside the box. 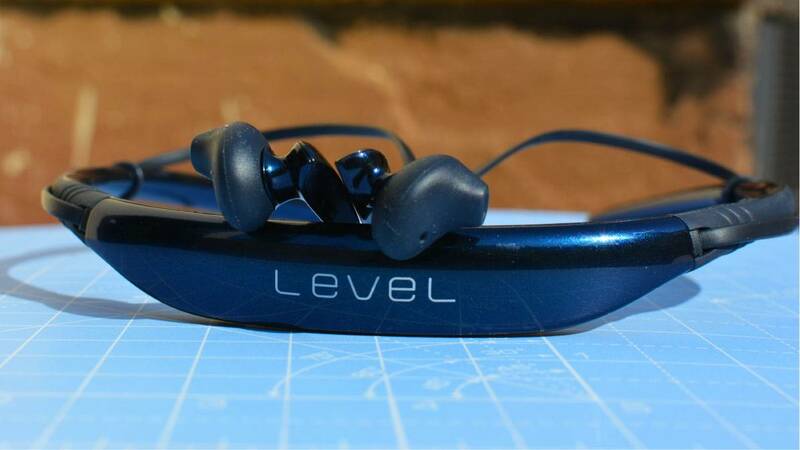 Now coming towards the headset itself, Level U is a neckband style Bluetooth headset. It sits around your neck with open type ear-tips hanging out from both the ends. Ear-tips have magnets in them to help them stay close, when you are not using them. But I do find these magnets less effective, as they usually get apart easily. 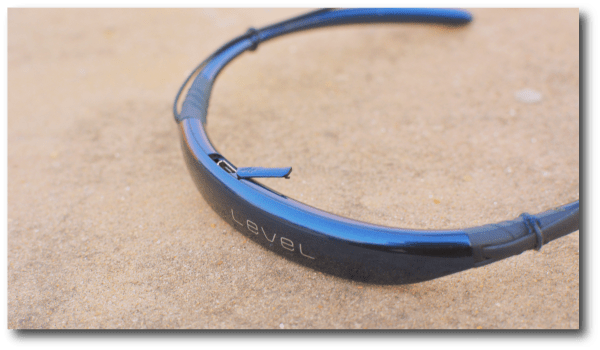 Level U Headset is a plastic based neckband, with two flexible stems attached on both sides so it can fit around your neck without any issues. However, those stems are really delicate & could break easily from the flexible joints. 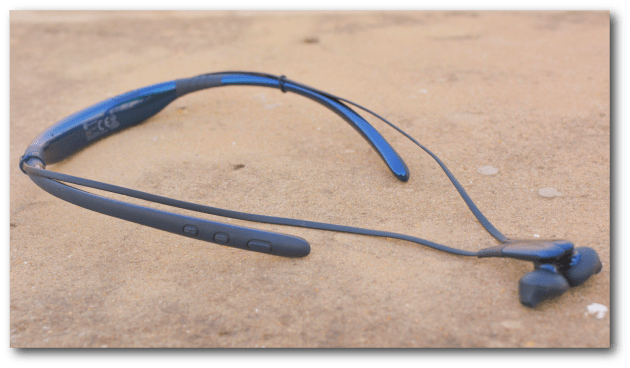 These headsets have dual microphone setup (one on the right stem & other on the part that sits on your back) for better audio capturing & noise reduction. Right stem also have 3 multi-function buttons., Volume up & down with a play/pause button. Volume up & down button can be doubled as rewind & fast forward respectively, on long press. And long-pressing play/pause button can get you into Bluetooth pairing mode or will activate your default voice assistant. 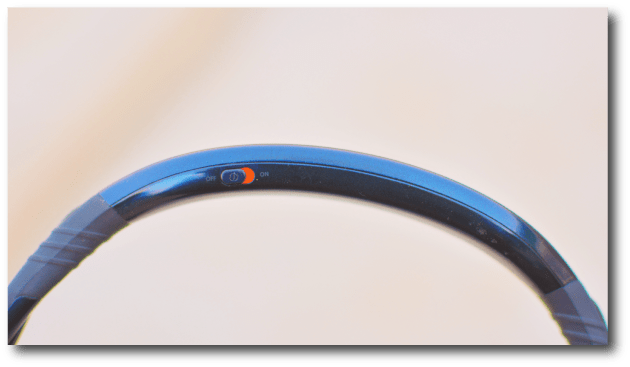 On the back of the headset, you will find a covered micro-USB charging port & at the bottom, you will a on/off toggle switch, to power on/off the headset. And the last thing you will find on the headset is an LED, typically showing blue & red color. When it’s on, it’ll blink blue & red is obviously for low battery warning. When it comes to an audio device, it’s all about how do they sound? 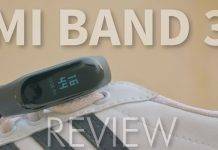 And If I have to judge Samsung’s Level U headset, they sound decent enough for what they worth. These headset do have a wide sound stage giving you a surround sound effect. Which turns out to be good when you actually want to feel like music is all around you & cut you off the surrounding. I feel like there isn’t ample bass, but highs & mids are well balanced, and sound distortion at higher volumes is present but not quite evident. Yet I feel like adding more bass would be the cherry on the cake for this headset. Due to it’s ear tip style, sound leaks is quite evident & people near you could actually listen to what you are listening. Also, despite being lightweight & comfortable, you’ll require sometime to get used to the ear tips after experimenting with the supplied ear tip covers. Also, I had no complains or issues with the connection, range & call quality. It checks on everything very well. Battery backup is the one department, where you’ll find these headsets ‘money spent well‘ gadget. I was easily getting more than 9 hours of battery life on these & I do listen to my music at highest volume all the time. 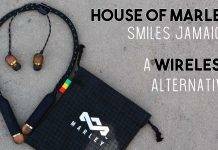 House of Marley’s Smiles Jamaica Wireless were my daily headsets but I had to charge them on daily basis, but with these I can easily take them around with me for almost 2 days. Samsung’s Level U does support for APTx codec for high quality wireless music. So if your phone has support for APTx, you are already enjoying the best from these. If that’s not enough, these headsets do vibrate on call, to ensure you don’t miss a call. 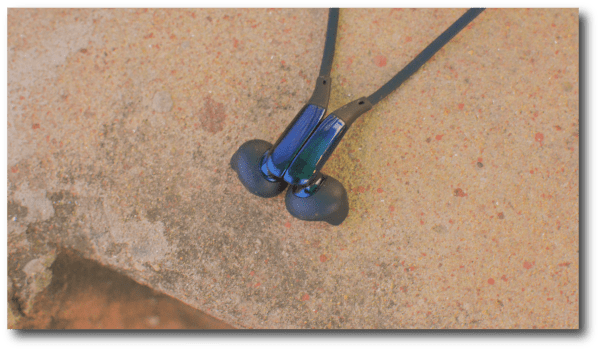 Samsung Level U headsets have surprised me a lot with their overall performance. They sound decent, are comfortable & have great battery life. Over that they support APTx, which is kind of a must-have for all wireless headset/headphones. Got any question about these headsets? Hit us up via a comment. 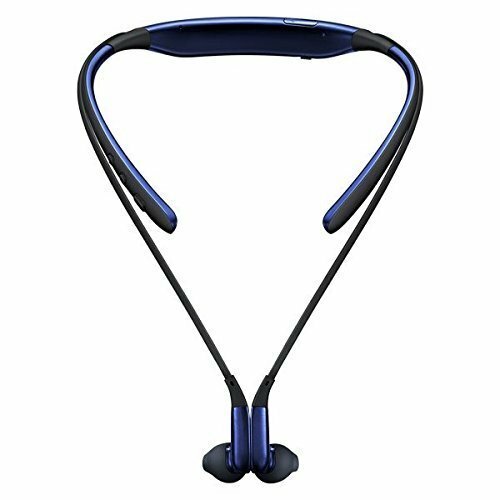 Looking for a decent sounding bluetooth headset, with amazing battery life & APTx support? Samsung level U won't disappoint you with what they offer. Previous article15 VLC Media Player Tricks & Features you should try right now! Next articleHow to declutter your smartphone?